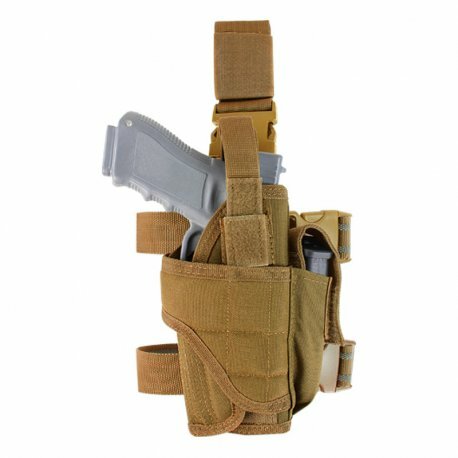 The Condor Tornado Tactical Leg Holster uses a wrap around design allowing you to fit multiple size pistols including those equipped with lasers or flashlights. Adjustable straps and non-slip rubber lining mean that you can get the most secure fit on your pistol. 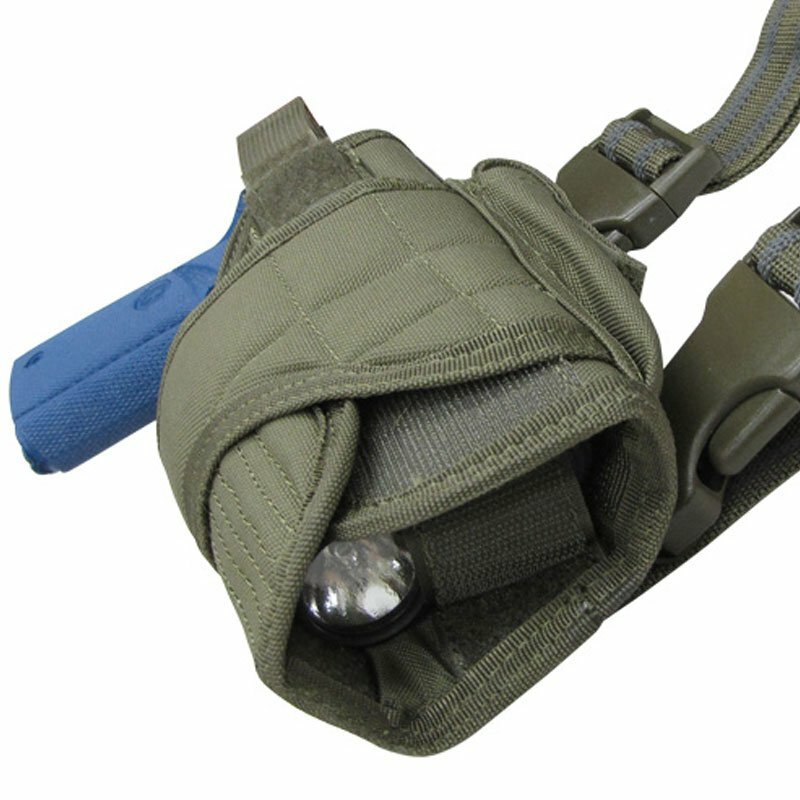 Just to make sure you are never out of ammo Condor has included an extra magazine pouch built in so you can ensure you are always locked and loaded. 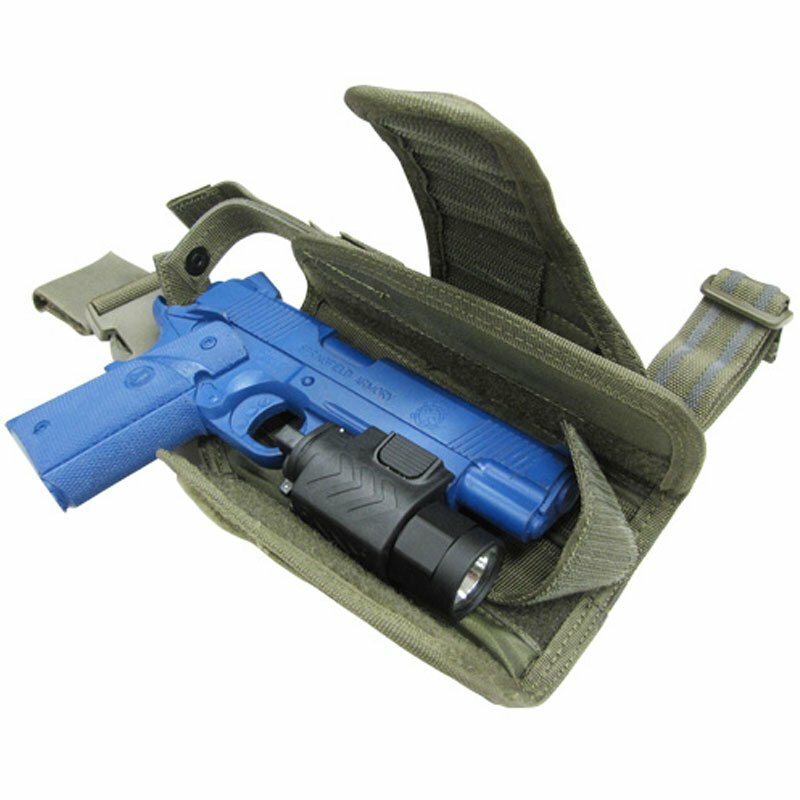 Keep your pistol safe and secure, wrapped up in the eye of the Tornado with the Condor Tornado Tactical Leg Holster!